S S Rajamouli seems to be going through a tough time when it comes to finding the right cast for his upcoming magnum opus Baahubali. Prabhas, Anushka and Rana Daggubati have already been finalized to play the lead roles in the film. Apart from the principal characters, Rajamouli wanted to cast several other actors for supporting roles in the film and for this his team launched a massive talent hunt earlier this year. The response for the talent hunt was outstanding and they received close to 20,000 entries from people who wanted to bag a role in the film. After nearly three months of screening and short listing the entries, Rajamouli was quite surprised to see how things had shaped up. Talking about the auditions and the current status, Rajamouli revealed that most of the short listed candidates never appeared for an audition and even those who were finalized in the end didn’t turn up for training. “Over The last month Short listed about 2000 applicants.asked then to attend auditions. Surprisingly Half of them didn’t turn up..After auditions, selected about 50 guys and started training. After 2 days half of them disappeared…Short listing 2000 ppl from 13000 was a daunting task.. We just couldn’t handle more, so had to block.. Apologies there,” S S Rajamouli posted on Twitter. The most important factor which Rajamouli has considered while finalizing the cast is ‘suitability’ and he claimed that this factor was more important than talent and hard work. “Some resent saying they don’t get opportunities even though they are talented and hard working. But you should understand that ‘suitability’ Is of paramount importance when it comes to casting. That doesn’t mean talent and HW are less imp. We need all three to do justice to the film,” he posted on Twitter. 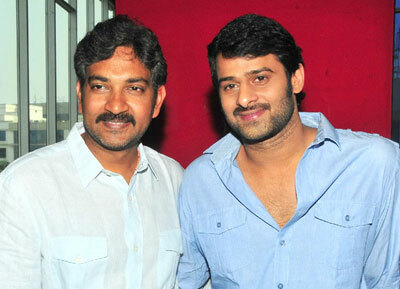 Baahubali is expected to go on floors shortly. Sabu Cyril is the art director and Senthil is the cinematographer. M M Keeravani is scoring the music. Shobu Yarlagadda and Prasad Devineni are producing the film under Arka Media banner and K Raghavendra Rao is presenting it.